It's been such a relaxing Saturday so far. 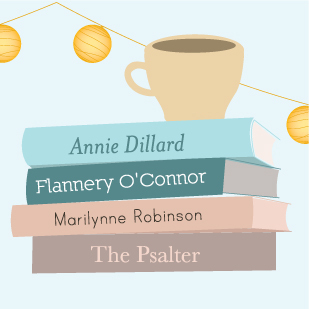 No alarm clock (my deadline met), a good breakfast, a pumpkin spice soy candle, good coffee, to-do list-making, laundry, a handful of almonds, and lots of podcasts (The Writer's Almanac, This American Life*, Poetry Off the Shelf). And Johnny made the last trip to his old studio to pick up his beloved Tempus drums. He'll be teaching a few lessons in the garage studio today! His new space won't be quite finished, but orderly enough for 1-2 students. He also picked out a cool rug from Target to go under his drum kit - without my assistance. It is jute with a black/natural border; I like, and I'm very impressed. The happy look on Johnny's face makes my whole day. I love to see that man blessed. What else am I excited about today? Plenty of time to read and journal, a walk in the amazing weather followed by a nice Epsom salt/Aveeno oatmeal bath, and tomorrow after Church, buying a few 6-packs of Zevia (we might eat lunch at Yia Yia Mary's, too. Pretty please?). I realize this looks like a very hippie product and I suppose it is, but I'm excited nonetheless. I heard about it from Kerry and quickly ordered a free sample pack (though we had to pay $10 or so in shipping). Not only can I drink it on this crazy yeast-free diet of mine, but it is much, much healthier than your average Coke. I am not a fan of aspartame, Splenda, high fructose corn syrup, or anything similar. Both my husband and I were surprised by how good Zevia really is and that's saying a lot coming from Johnny who's happily addicted to Diet Coke w/lime. 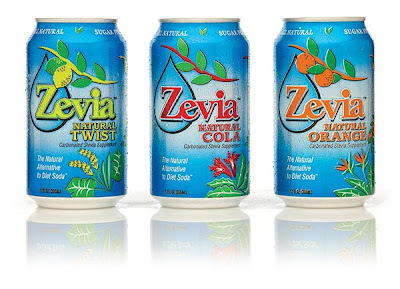 Our favorite Zevia flavors are Twist (lemon-lime), ginger root beer (yum), and Cola. Zevia is truly all-natural - the "diet soda" I've been dying for someone to create. It's sweetened with stevia + erythritol, there are no dangerous acids to hurt your teeth or bones, and Zevia's Cola flavor is caffeinated with kola nut, coffee, and tea. You can read more details here and here - it's pretty revolutionary. I don't actually crave Diet Coke like my hubby, but every once in awhile I wistfully remember Dr. Pepper, a Sonic vanilla Dr. Pepper**, or even an old-fashioned vanilla Coke. But then I remember what's in some of those frosty drinks. So I will happily settle for Zevia thanks to Central Market and Rice Epicurean. I hope Whole Foods will join the bandwagon. Johnny says he'll cut down on Diet Coke if Zevia is in our fridge and who knows, he might drink only Zevia one day. Here's to praying. * - Did anyone hear the "Switched at Birth" episode of This American Life?! I can't get that true, sad story out of my head. Utter craziness. ** - I might still enjoy a few vanilla Dr. Peppers in my lifetime. So good. Oh, I've been wanting to try this!!! hmm, but it does have caffeine? the flavors sound so good, but I've been caffeine-free for 2 months and 3 weeks now, and I think I'm hooked on that. Only the Cola flavor has caffeine, so drink up. jenni, I'll have to try the Zevia. I wonder if our Good Food Store has it.. and coconut milk in your coffee? is that good? I gave up dairy a couple weeks ago so I hopefully stop coughing when I go to bed, so both of us can sleep. that'd be a change. I sympathize with yeast-free. I did it for 18 months a few years ago. mmmhum. Not easy. mlh, I do like coconut milk in my coffee and it doesn't make it taste coconutty or anything. I recommend the full fat version, though. Nonfat coconut milk is too watery and the fats in coconut are very healthy anyway.